Back in January we announced our support for six writers through the provision of free week-long residency spaces, to be taken up in March. Our aim was to help writers who needed some focused time away from their caring responsibilities to advance or complete a writing project, or research / develop ideas for a specific industry opportunity. The residency spaces were made possible by the generosity of three members of our community with holiday cottages they donated for free, and therefore the only cost to participants was their travel and subsistence. The Raising Films Writer’s Residency was a lovely surprise in all sorts of ways. I applied, not feeling at all confident that I would be able to take the time away from family and work commitments. But with a second child on the way, and a feature script that hadn’t progressed much since the birth of the first one, it really felt like now or never. Fortunately, the clouds aligned and (with some convincing from my super-supportive partner) off I went. The weather was great and the scenery was splendid. We mostly ignored both, becoming a pair of shut-ins for the week. The cottage was lovely – a huge thank you to our generous (and anonymous) host. Another great surprise was my new pal, Michelle. We had a quick chat on the phone before we went and committed to driving up together. She turned out to be a complete joy to share a cottage, petrol, food, software tips, ideas, and grief over Brexit with. 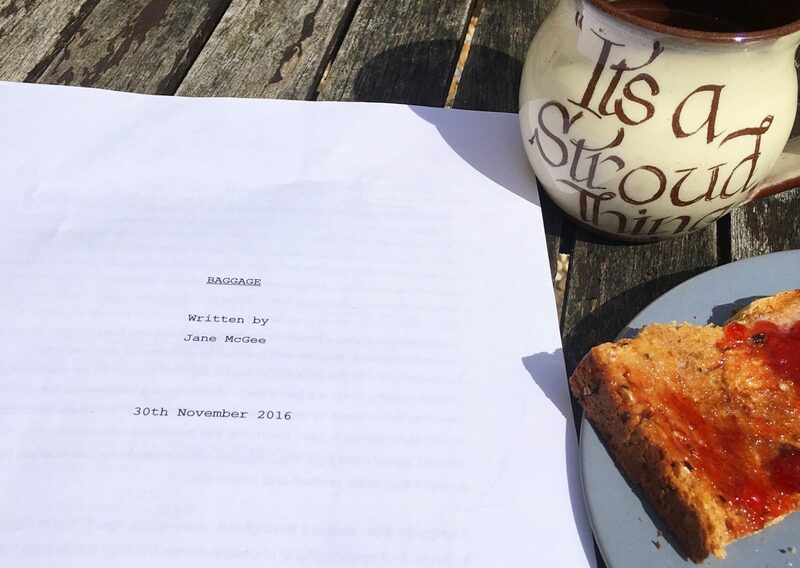 I found that sharing a space with a hard working writer inspired me to crack on. Michelle also turned me onto Scrivener which is one of the easiest outlining tools I’ve come across. And, she was also pregnant so we could complain about our various symptoms without worrying too much about boring each other to death. Perhaps the best surprise of all was how quickly I was able to snap back into writing my feature. I’d been half-heartedly trying to pick it up again on and off for about a year, but it was competing for brain space with the daily distractions of paid work and family life (and fun stuff like doing the laundry). If I’m honest, by this point I’d lost a bit of faith in my own productivity. But it’s amazing how a short escape and some brain space enabled me to click back into it. The whole experience has reinvigorated my passion for my project and reassured me that not only do I still remember how to write, I actually really enjoy it. I also now really want a holiday cottage. Thank you Michelle and the lovely cottage donor. And thank you Raising Films! 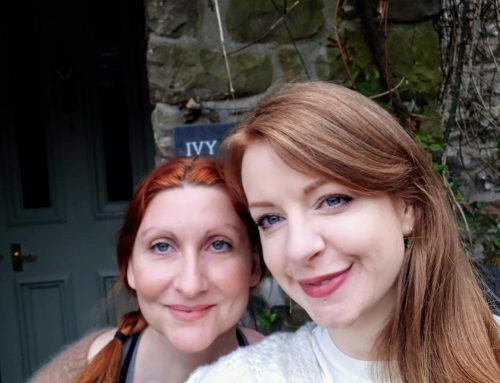 With four months to go until the birth of my second child, severe pelvic girdle pain, and a screenplay to write, last week I headed off to Gloucestershire on a Raising Film’s writing retreat. Going away for a week with someone you don’t know feels like a bit of a risk, but with blind faith in humanity, and the thought that anyone involved in Raising Films had to be a good egg, Jane and I were put in touch. After sharing a couple of emails phone chats, we realised we were both pregnant and – like the beginning of a terrible drama – two pregnant strangers met to go on an adventure. The drive down was great. The three hours gave us an opportunity to get to know each other and chat about our projects. We shared our thoughts on what we wanted to achieve during the week away and chatted about how we worked. We swapped tips on software (I’ve just started using Scrivener along with Final Draft) and worked out what we wanted to eat during the week! Food being at the top of my pregnant agenda. The plan was pretty much to write, emerge for lunch, write, emerge for dinner, write again and try and catch up on four years of lost sleep. And that’s what we did – we wrote, sat in the garden in the sun, drank a lot of grapefruit juice and before we knew it the week was over. Having someone who is working a hard as you are, in a space is a great motivator, and not having anyone else’s washing to do whilst you’re at it, is even better. I came out of the week with the first draft of a feature I’ve been playing around with for years. I now have three months to get it in a good state and over to my agent before I give birth. So… thank you to the incredibly generous donor for her cottage, thanks to Jane for her great company, and thanks to Raising Films for understanding that sometimes all you need is a little bit of space and time. for the Raising Films newsletter via the button below.